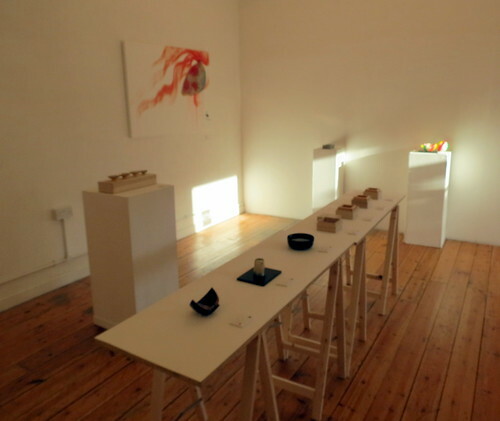 When I lived in London the ICN Gallery in Shoreditch was hands-down my favourite gallery. Around the same time I left London, the gallery closed down. It felt like the end of an era in many respects, but in a way I was glad that I wouldn’t have to miss out on all of their fantastic exhibitions. 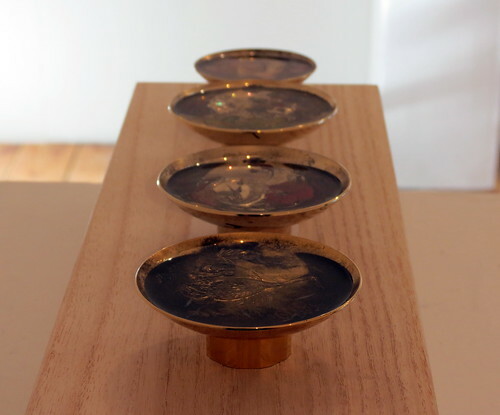 I was surprised and delighted to receive an email recently from the gallery, informing me of a pop-up exhibition in a new space in London – the ICN was back, at least temporarily. 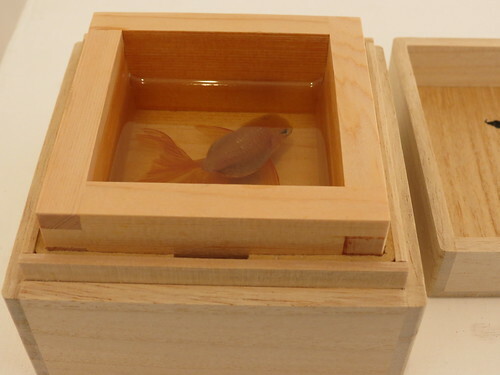 Not only was the gallery back, they were back with the best possible exhibition: ‘Goldfish Salvation 2’ by Riusuke Fukahori (深堀隆介). 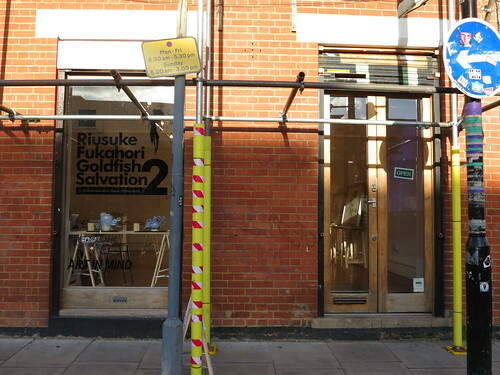 You might recall, if you have a very good memory, that back in 2011 Fukahori exhibited at the ICN Gallery with his first instalment of ‘Goldfish Salvation’. I wrote about it here, and it still remains my 15th most popular blog post of all time with nearly 3,000 views! 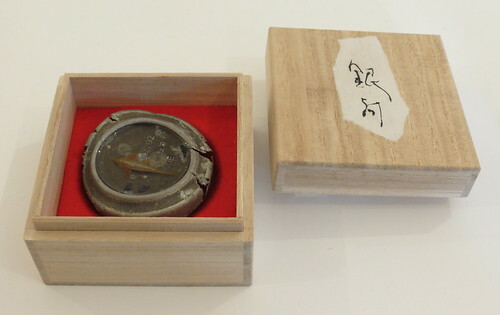 I was very taken with Fukahori’s work at the time, finding it unique and interesting – just the kind of art I would purchase, if I had the funds. When I heard about the new exhibition I thought I wouldn’t be able to go – it was in London, and I was in Bristol – but then I planned a birthday day out to London, perfectly timed to visit the exhibition on its penultimate day. I hadn’t been to London in ages, and it was weird to be back in Shoreditch heading to the ICN in its new (temporary) home on Sclater Street. I nearly walked past the gallery, as it was hidden under scaffolding. Sadly, none of the people I used to know in the gallery were there, but the staff who were there were welcoming, and I had come for the art more than anything. Fukahori’s work is incredible. 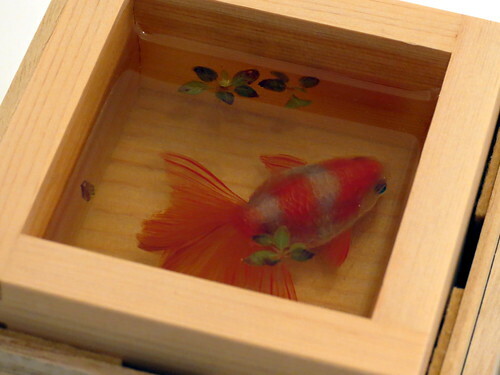 Somehow, quite magically, he captures the beauty and essence of goldfish in paintings which appear three-dimensional. 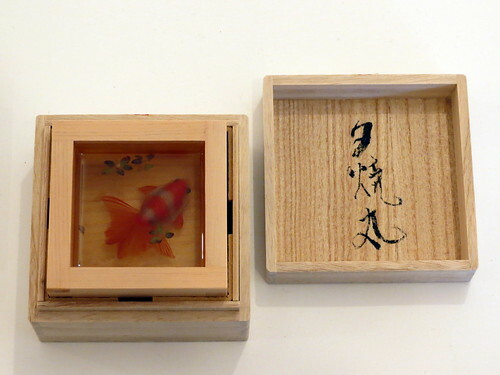 Seriously, if I didn’t know better I would think he was capturing actual goldfish and setting them in resin (he’s not, just for the record). 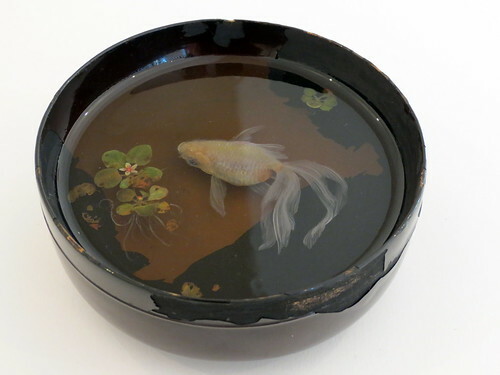 Using acrylic paint, resin and assorted containers (such as sake cups and traditional Japanese bowls), he paints layer upon layer until the containers appear to fill up with water and fish that seem entirely lifelike. 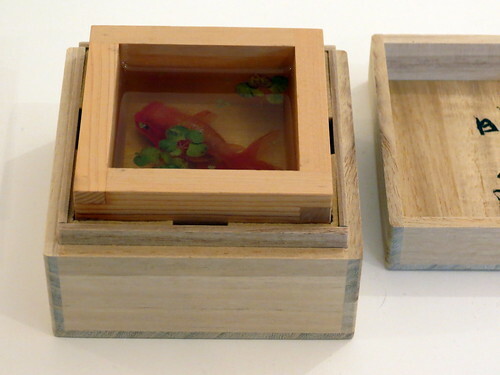 Fukahori has been obsessed with goldfish for around 15 years; watching them tirelessly in order to get his creations just right. He paints every detail, layer upon layer, slowly building up the layers of resin and acrylic paint. One small piece could take up to two months to complete. But why goldfish? Well, Fukahori was losing confidence as an artist and was feeling unsure as to which direction to go in. 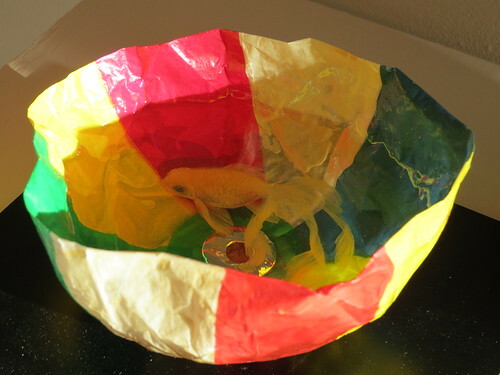 One particular day he started to observe his goldfish (which he has always been interested in), and that was when his ‘eureka moment’ struck. 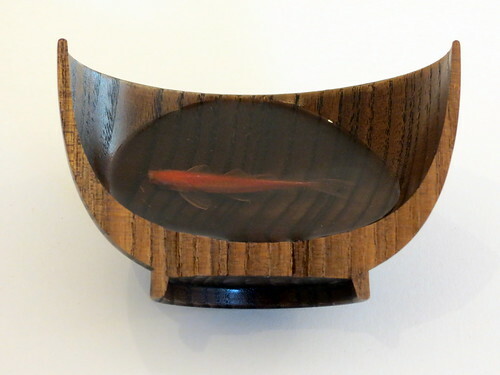 He saw himself reflected as a goldfish, and from that moment on he decided to dedicate his life and work to creating these pieces. I’m not sure what the future holds for the ICN Gallery, but I’m really pleased I had one more chance to see Fukahori’s work. For more ICN Gallery news, check out their Facebook page.